We sense a "New Coke" marketing moment about to happen in the car industry as Infiniti can't decide if the name switch for the mid-size sport sedan was a good move. In a real head-scratcher of a marketing move, Infiniti has decided to sell the older, G37 alongside the new replacement for that car, the Infiniti Q50. Both cars have a real wheel drive based chassis with a strong V6 and target the compact-mid size luxury sedan segment. Apparently, Infiniti has higher aspirations for the Q50 than it did the G37. Although both are similarly sized, and have exactly the same engine, Infiniti thinks that it can generate new interest from a buyer that will pay more for the new Q50. While at the same time, it thinks the older car will sell as well. 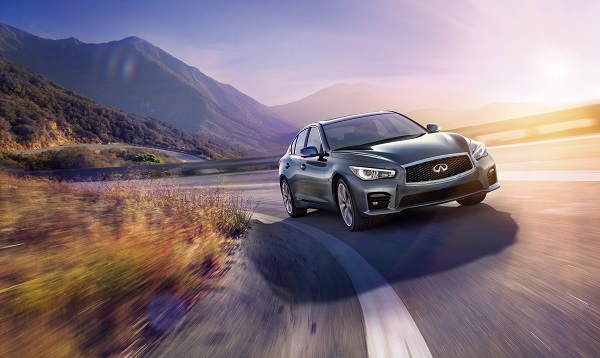 Infiniti Americas Vice President Ben Poore tried to explain it this way "The introduction of the Q50 with its distinctive design, engaging performance, world's first technologies and unmatched levels of connectivity and personalization, enables us to pursue a two-pronged strategy. It creates room to strategically offer the repositioned G37 at the lower end of the near luxury segment in addition to the higher-positioned Q50. The two vehicles aim at different market segments and allow us to serve different customer needs." In layman’s terms what Mr. Poore is saying is “We are going to load up all the Q50s with extra-cool navigation, entertainment, and phone related electronics. If you want a car that is similar, but does not have this new stuff, we will sell you the older G37.” The new and old cars are to both be sold alongside one another through model year 2015. In May Torque News reported that even die hard auto enthusiasts could not understand why Infiniti would change the name of such a successful car. A month later we made the case that buyers should wait if they want a G37, and get the new Q50. Apparently, someone inside Nissan also made this argument. By co-marketing the G37 and Q50, Infiniti buys itself some time to let the buyers looking for a G37 learn about the new Q50.